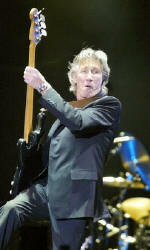 Roger Waters Wall tour generated nearly 1.5 million ticket sales during the first half of 2012, outpacing tours by Bruce Springsteen and Madonna to claim the top spot in earnings by a wide margin. The Waters tour take was edged in North America by the Cirque du Soleil Michael Jackson: The Immortal tour which racked up $78.5 million to the almost $70 million brought in by the Waters tour. With a slew of dates yet to come for Springsteen while Waters is in the home stretch of his world tour, The Boss is expected to easily to eclipse the Waters total before the year is out.